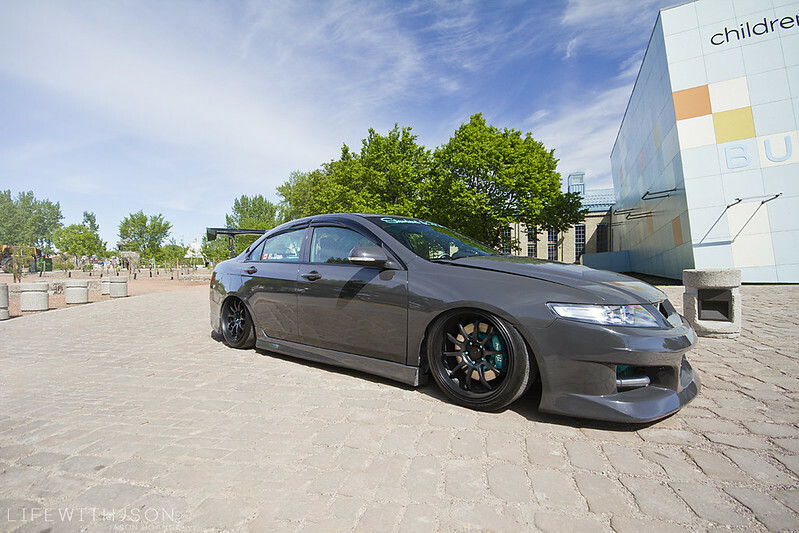 Finally getting around to having Benji’s TSX up and I’m pretty stoked on this mainly because I’ve been itching to shoot it since he came to Calgary for Driven a few weeks back. 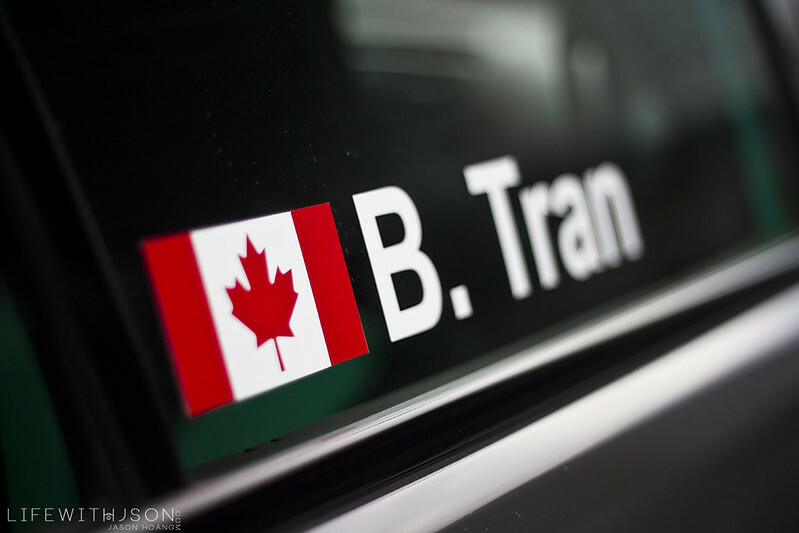 When JC had originally told me that a few guys from Winnipeg were coming and sent me a pic of Benji’s car, I scoffed at the idea in my head mainly because I didn’t believe anyone from Winnipeg would drive 12ish hours to come to Calgary for a car show. Lo and behold – they did, and they were crowd-pleasers at the show, without a doubt. 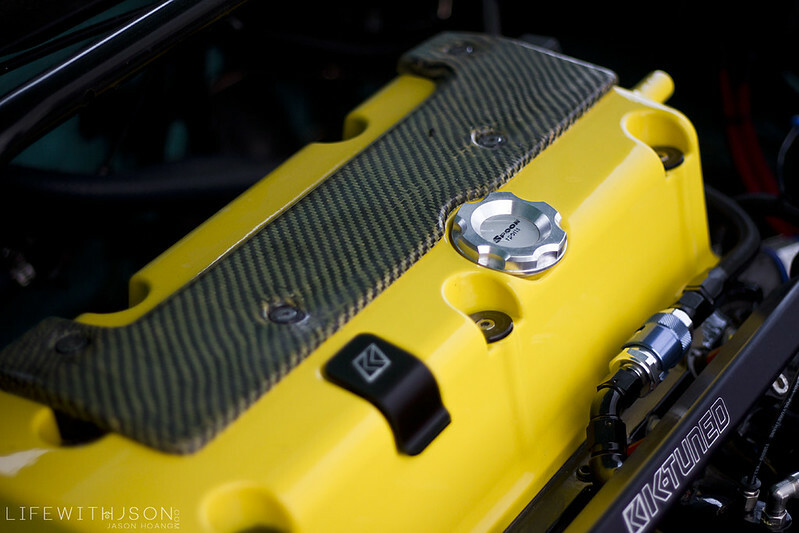 Benji’s car has an extensive amount of work done to it – inside and out and it’s show car quality, but it doesn’t come without it’s consequences, unfortunately. In Alberta, there are little things that we take for granted that doesn’t go over so well with the police out in Manitoba. To quickly run it down, anything modified from stock is not allowed – plain and simple. 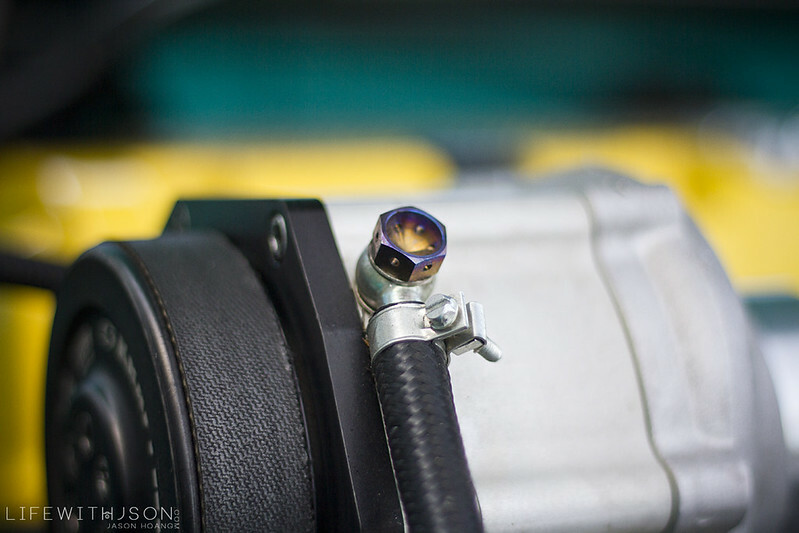 Things like HID’s, suspension and clearance, interior pieces missing, etc – all the things that all us racers love to change and remove will net you a ticket (or many of them) and another inspection to make sure you’ve complied. Anyway, we did the shoot with no issues and then rushed off to the wedding to all get drunk together! On the way to the Forks I tried my best to get as many rolling shots as I could but the streets were busy and there wasn’t much room. There are a few more below. 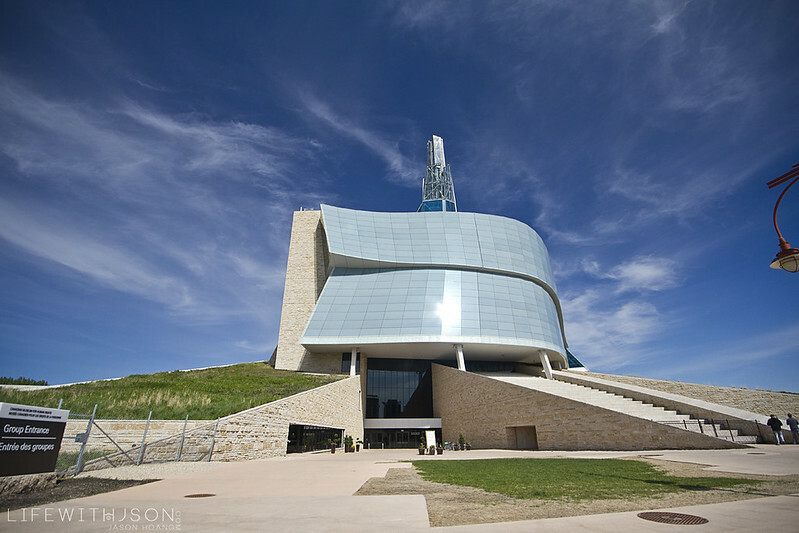 A cool shot of one of the buildings at the Forks. The first location reminded me of Eau Claire back in Calgary. It was super bright out that day and not to mention, busy as hell. 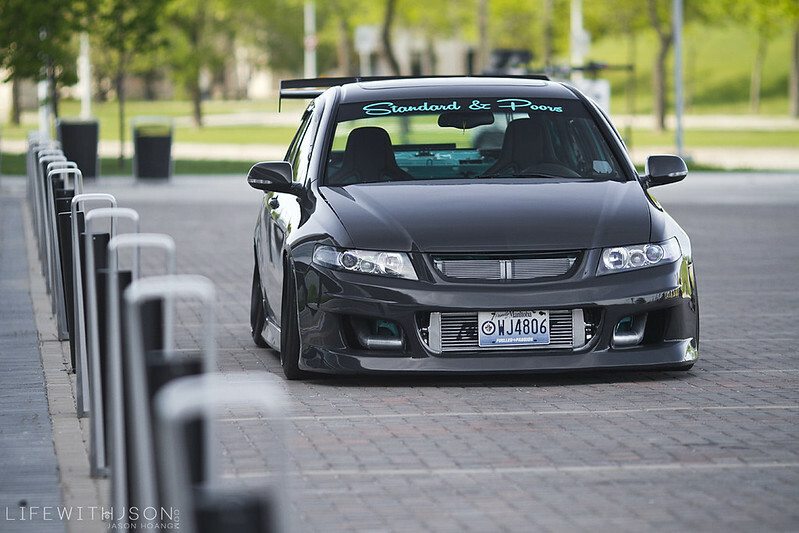 Up front is a massive Kraftwerks intercooler which hints at something pretty obvious under the hood as well. 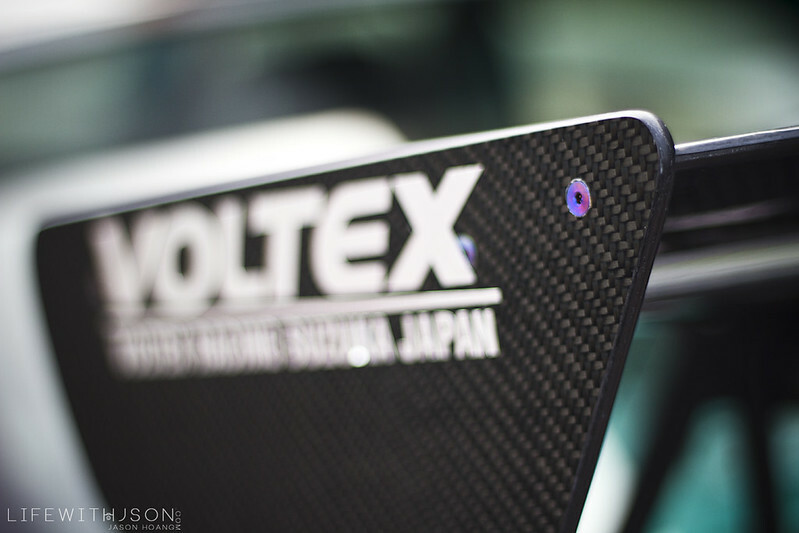 My favourite part (if you know me) is the Voltex wing fitted out back. It really carries the aggressiveness through to the back. 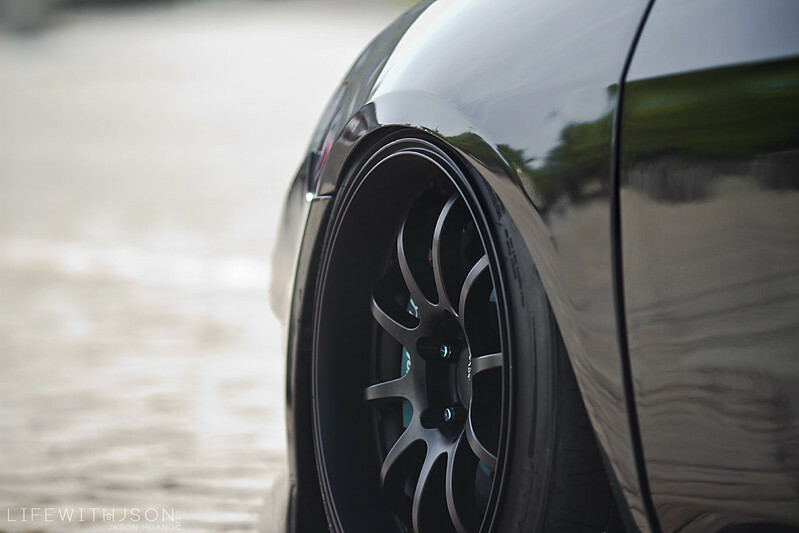 Tucked all around are a set of matte black Advan RS-D’s. One shot that we had to get quickly was on the suspension bridge. One more with the Forks building in the back. The next location was at the Investors Group Field – the new football stadium that opened in 2013. A nice spot to hide away from all that sun. But it’s a good shot of all that tuck he’s got going on. 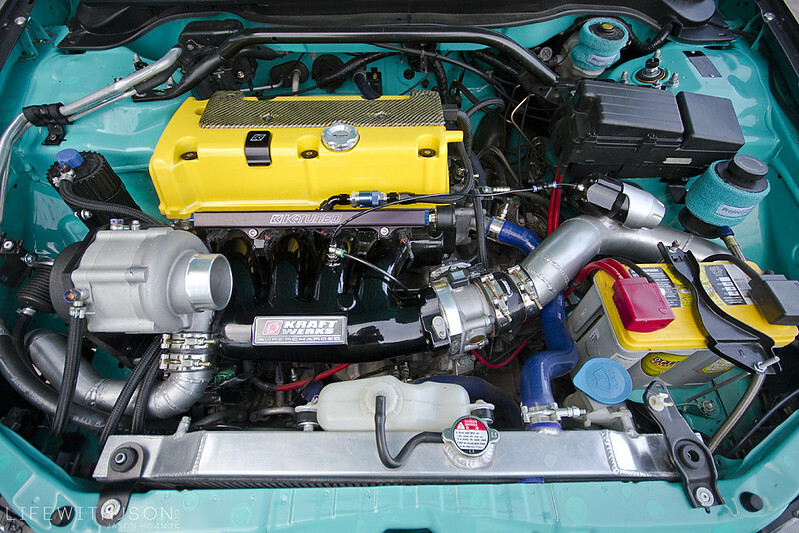 A closer shot of the ProjectMu BBK behind the RS-D’s. The ProjectMu teal really makes the car pop in combination with the GT3RS grey and subtle black tones. 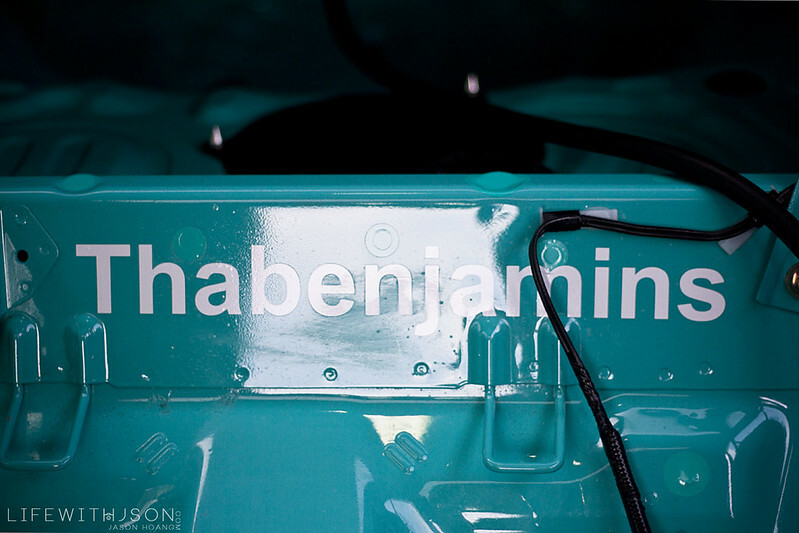 You may have noticed that Benji carries that teal colour combo all throughout the car as well. Also replaced the bolts holding the wing stands down to the trunk with titanium. If you can’t read that – it says “Dannie Riel”. During Driven, Dannie was with the beyond.ca booth and she came over to our end and Benji got her to sign his trunk. Nice little momento – given that they are both from Winnipeg. 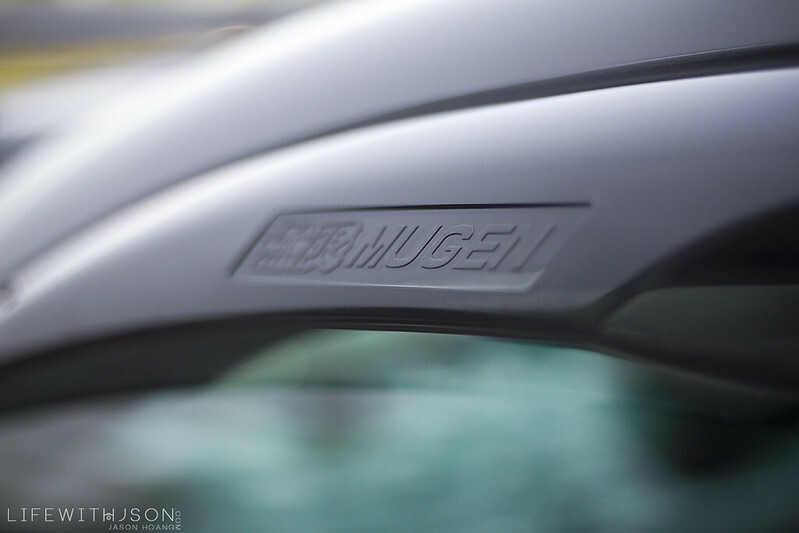 Mugen visors – you can never go wrong. 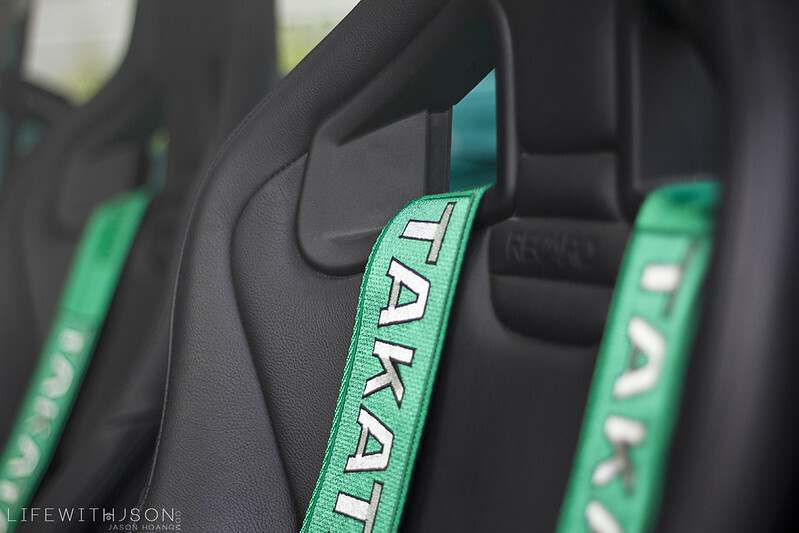 There is no lack of attention to detail on the inside either – a pair of leather Recaro Sportster CS’s and Takata harnesses dominate the cockpit. Inside is his IG handle. 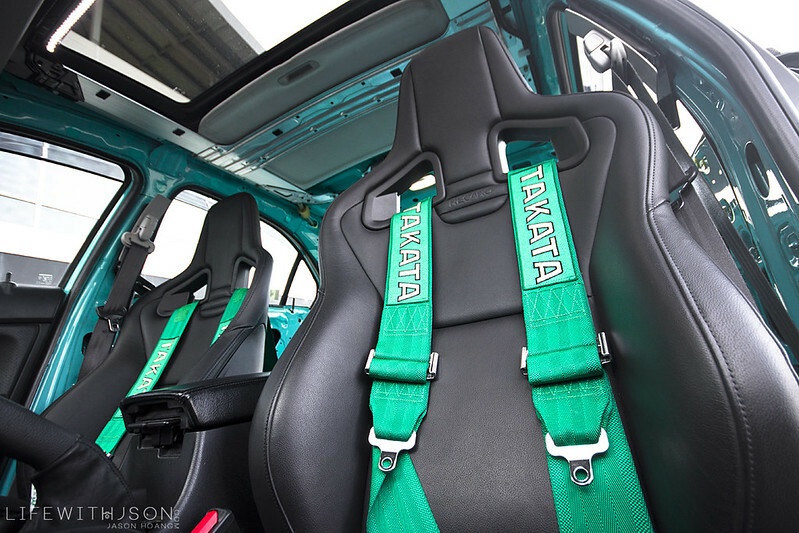 Also a good look at how the interior carries the ProjectMu teal colour like I mentioned earlier – the two tone is money. 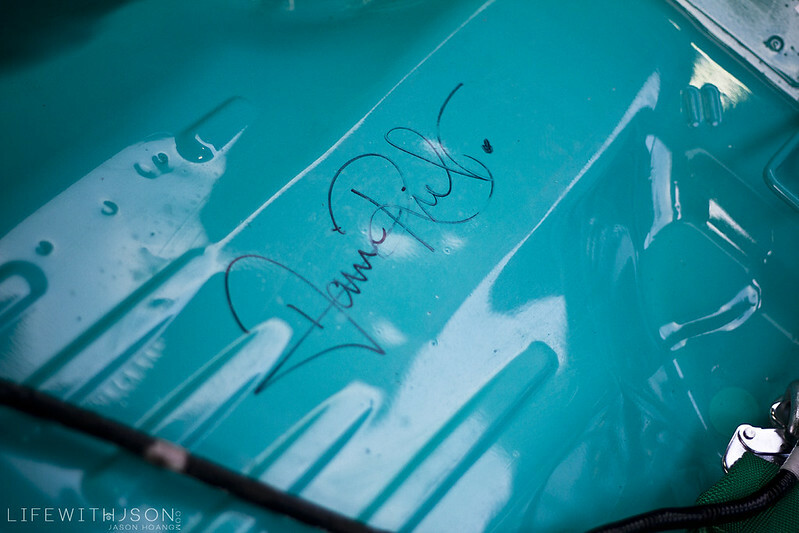 Looks like Benji also got Dannie to bend over and sign the inside floor of his car too… (clean thoughts). 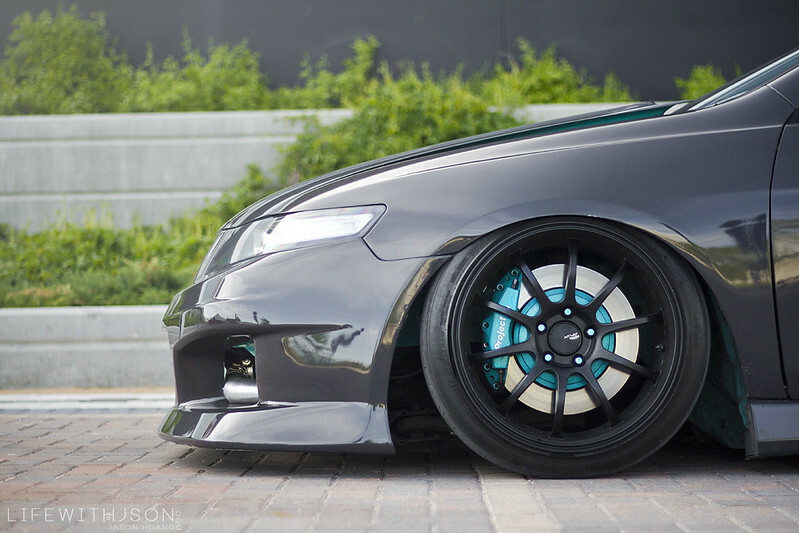 A side profile shot – very aggressive. 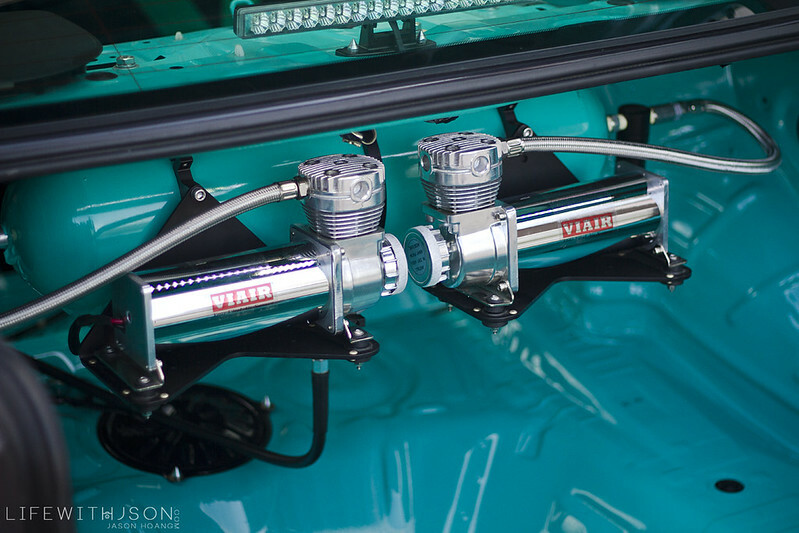 As you might have guessed, Benji is also on air – he’s got his tank and dual compressor set up mounted to the underside of the rear seat decks. 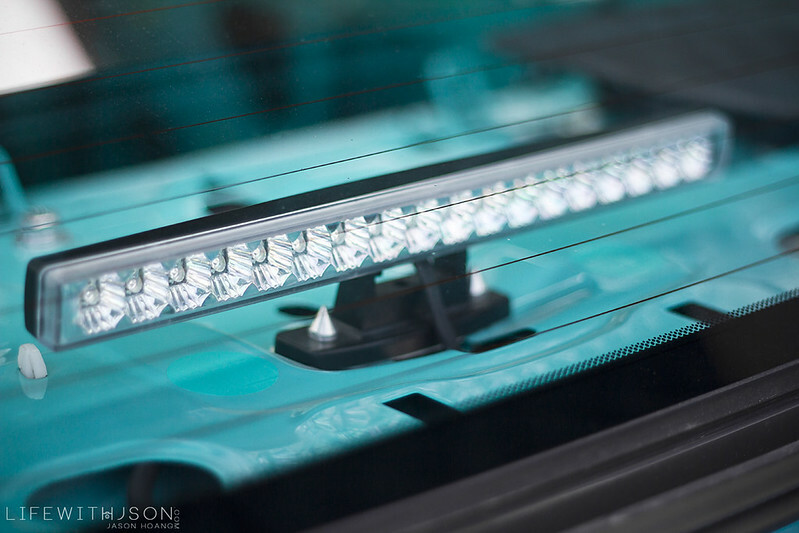 A custom LED third brake light. Benji cleaning up the engine bay for some shots – he hadn’t cleaned it since he made the long drive back from Calgary and there were lots of dead bugs lol. 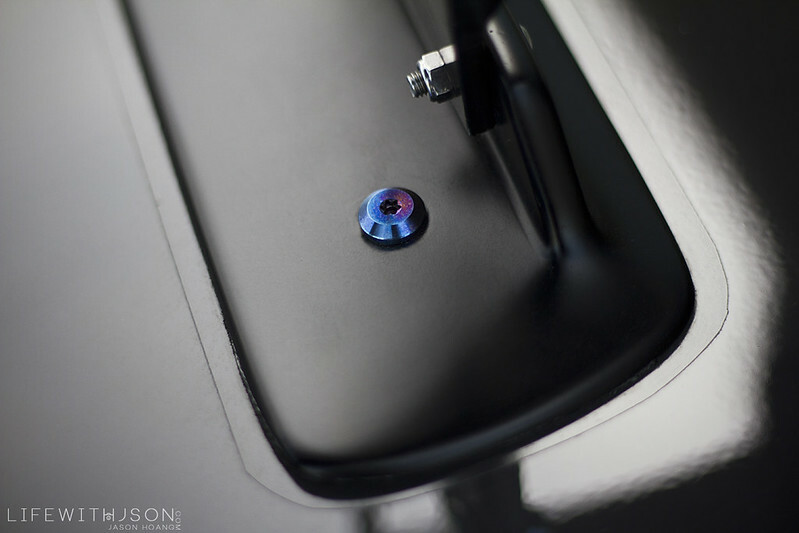 A shot at the Kraftwerks set up… The colours used all throughout the car work surprisingly well when put together. Another shot of the Recaros and the gutted interior. 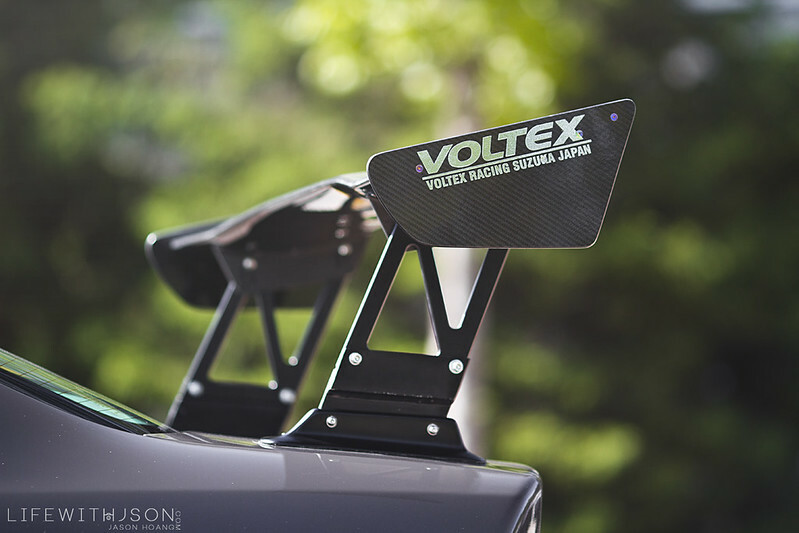 A closer shot out back with the Voltex Type 5 wing… And Dannie’s signature of course. And to end it off – a nice shot of the Winnipeg duo together. Thanks for the recognition!! 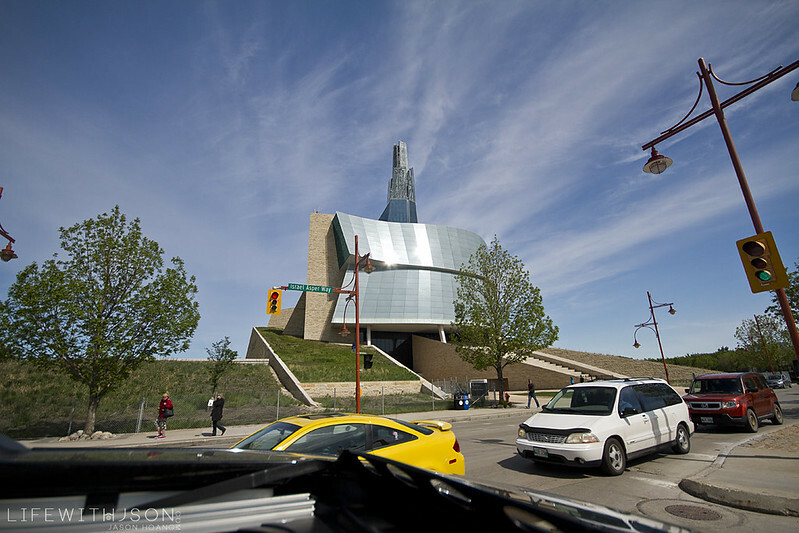 Had a great time meeting illmotion at Driven and better time sharing Winnipeg with Y’all.. Cheers.